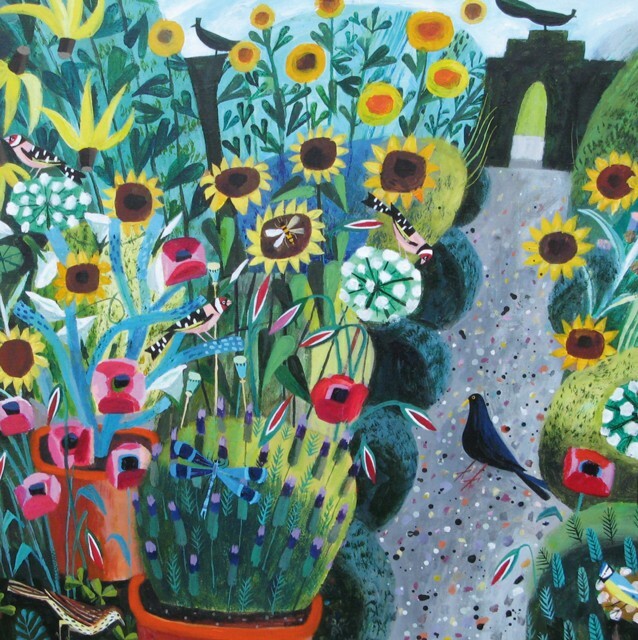 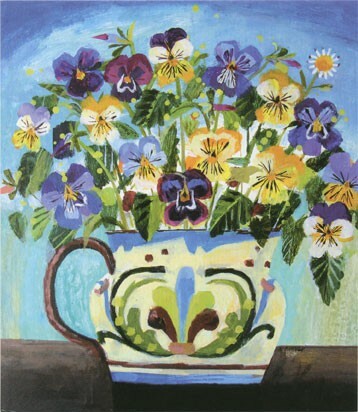 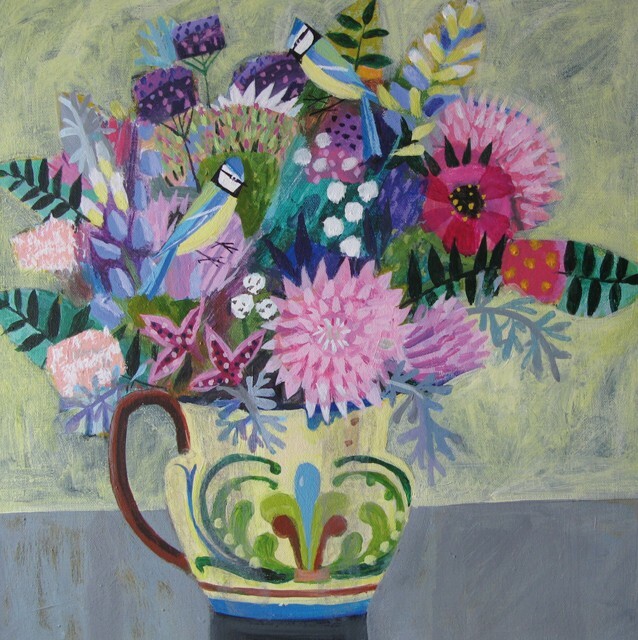 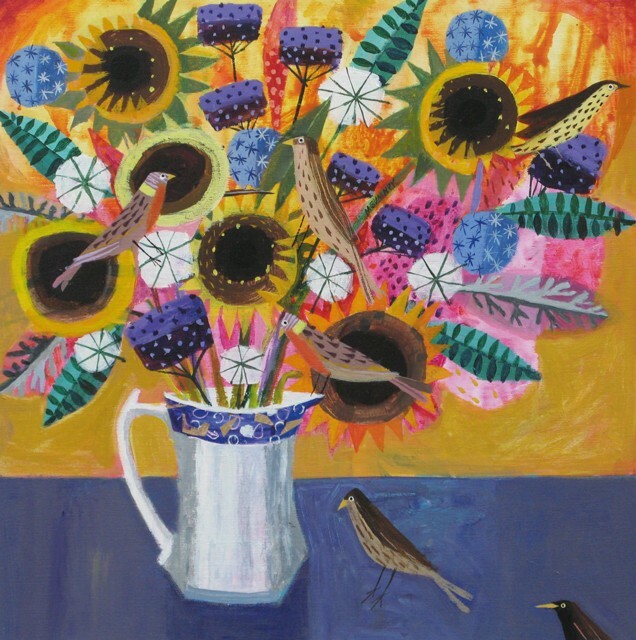 Born in Northamptonshire in 1957, Mary Sumner studied at Northampton School of Art and later West Surrey School of Art and Bristol University. 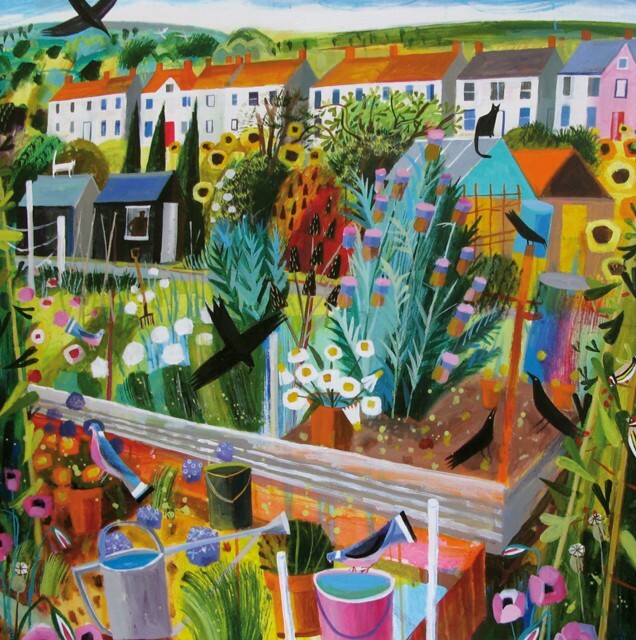 For the past twenty years, Mary has lived in mid-Devon where she is inspired by the natural beauty for the landscape. 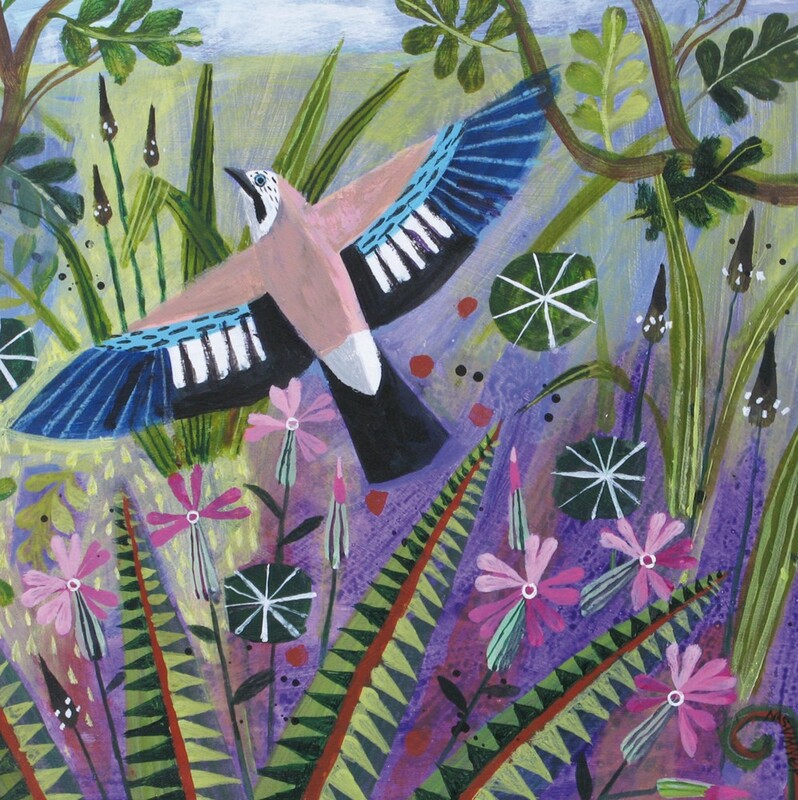 Mary enjoys the process of composing paintings, starting with noting in 'sketch' form her experiences of the countryside and what she happens to stumble across; creatures in the landscape...birds in the trees... 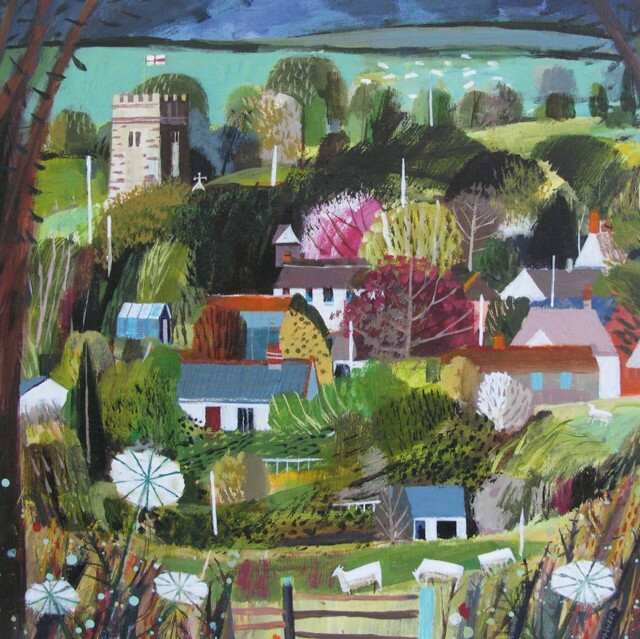 This early composition is 'blocked in' and 'built' in her studio, adding acryllic colour, humour and sometimes collaged material. 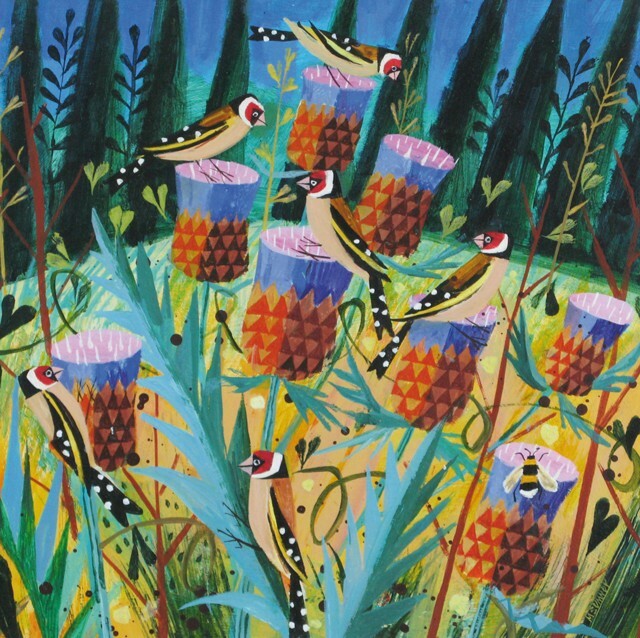 Art cards published by Canns Down Press and Green Pebble.